Scientists have warned for years shrinking Arctic sea ice coverage will spell disaster for polar bears, but a recent population survey shows bears are thriving despite there being less polar ice. Norwegian researchers released their latest survey of Barents Sea polar bears and they’ve got very good news for bear enthusiasts — their population grew 42 percent in eleven years. Barents Sea bear number have grown from 685 in 2004 to 975 this year despite Arctic ice coverage “diminishing in extent as well as in thickness,” according to researchers. Aars did, however, warn years with poor ice conditions could have a negative impact on polar bear population growth, but restrictions on hunting over the last 40 years have allowed the bears to flourish. Barents Sea polar bear estimates don’t include those in Russian-controlled territory, which could mean the region has way more bears than scientists admit. Russia’s government barred scientists from counting its polar bears. In 2004, Barents Sea’s polar population was 2,650 when Russian bears were included. “So again, despite the recent declines in summer sea ice that polar bear specialists, in their expert opinions, insist spell doom for polar bears, the bears are doing just fine,” wrote Susan Crockford, a veteran zoologist who blogs about polar bear science. For years, Crockford has used her blog to dispel myths about the demise of polar bears due to global warming. The fact of the matter is, globally, polar bear numbers are much greater than they were 40 years ago — largely thanks to restrictions on hunting. “The evidence is now very strong that recent declines in summer/fall sea ice have little to no negative impact on polar bear populations: the real threat to polar bears is thick spring ice,” Crockford said. Scientists have been worried global warming would shrink Arctic sea ice extent and make it harder for polar bears to hunt for food. Polar bear alarmism was even featured in former Vice President Al Gore’s film “An Inconvenient Truth.” Gore showed polar bears drowning because of a lack of sea ice to rest on while hunting. Such fears prompted the U.S. government to list the polar bear as “threatened” under the Endangered Species Act (ESA) — the first animal to be listed under the ESA due to global warming. 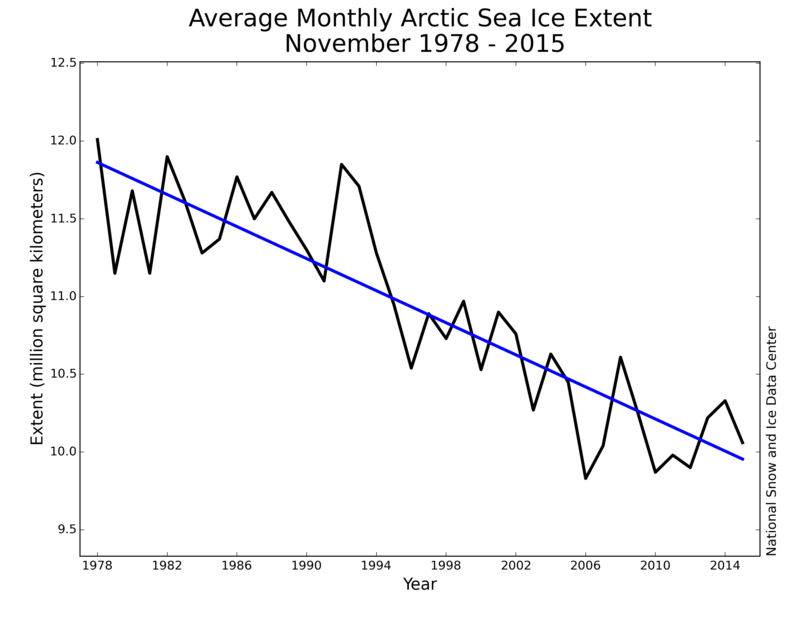 While Arctic sea ice extent has shrunk considerably since the 1990s, polar bears have continued to thrive. The International Union for Conservation of Nature (IUCN) recently estimated there were about 26,000 polar bears around the world, but there could be much more since IUCN did not count all polar bear subpopulations. Crockford actually argues shrinking sea ice extent is not the biggest problem facing polar bears. She says it’s thick polar ice in the springtime. “Polar bear deaths due to cyclical changes in Arctic sea ice thickness in the spring have continued despite rising CO2 emissions and declining summer sea ice extent… there is no reason to expect this will not continue,” Crockford wrote. Update: This article originally claimed Barents Sea polar bear numbers increased 30 percent over 11 years. That was incorrect. Bear numbers have actually grown 42 percent. What great news!